There were so many purposes for me going back to the States for a few months and collecting books for the first ever library at Centro Educacion Basica Republica de Honduras on the island of Utila, Honduras was one of the greatest purposes! Over the course of 6 weeks there were 2500+ books collected for the library. When I heard of the need for the children of Utila to have books to read, I got in touch with a friend of mine from college, whom I haven’t seen in almost 20 years, because she is an assistant superintendent of the Caldwell School District in Caldwell, Idaho. Without any hesitation, she inquired of one of her schools to do a book drive. 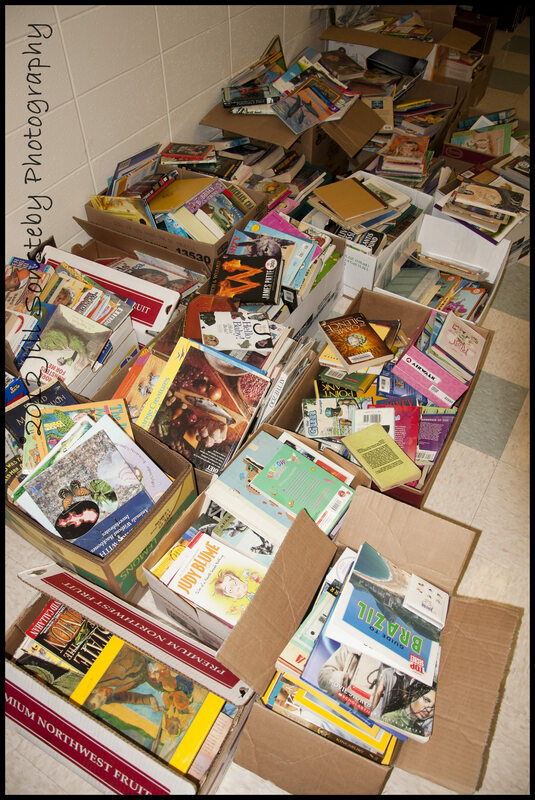 They responded with a big YES and because of the student council of Syringa Middle School and the teacher leading them, Brittany Rhinehart, they collected over 1000 books! I got to meet some of the kids on the student council and the president, Victoria, was most excited to help the kids of Honduras. She understands what it’s like to be able to have books to read and wanted to do her part in helping other children have that same privilege. I was amazed because these kids are in middle school and they went all out to get their student body involved. Syrnga Middle School went all out! 1000+ books here! During the entire month of May and the beginning of June, my sister held another book drive at her school coop in Redmond, WA. A coop means that the children are home-schooled by their parents, but on Thursday’s the children and parents (mostly mom’s) come together and take classes with other families doing the same thing. Many of the parents teach classes and it’s great because the kids have opportunities to make friends with other kids. So, every Thursday from 12-3pm I would sit in the foyer of the church where they have classes. I had a video playing of the work we are doing in Utila and I also set out a bin for books. Books trickled in every week and my sister was gracious to let me store them in her dining room. 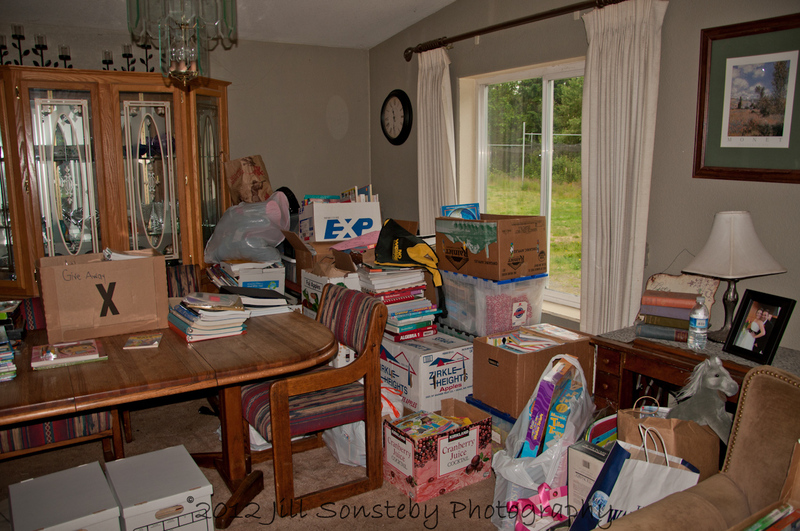 My sister’s dining room filled with book donations! One of the last days I was sitting there, there was a curriculum fair. All of the mom’s had table set up and they were selling educational materials their children were no longer in need of. My sister and I went around to every table and let the ladies know that we were collecting books for the children of Utila, Honduras. One lady started crying and said that she had been praying that God would show her a worthy cause to donate all her materials to. She gave us several boxes of educational material. Her sister was visiting from California and was there helping her. She is bi-lingual and teaches Spanish and English to children. I told her she should come to Utila and help out in Centro Educacion Basica Republica de Honduras. We exchanged emails and she said she’d love to come. Another momma talked to me every week with new ideas and learning resources I could take back to Utila. She ended up donating several boxes of books and educational materials and recently emailed me asking if one of her daughter’s could sponsor a child at the school where the books are going. She wants to encourage her daughter’s compassion for those in great need. She even mentioned maybe her and her 9 year old daughter coming to Utila to help us for a short time. By the time I left Seattle to head back to Utila, my older sister and I had boxed up 63 boxes, used at least 12 rolls of tape, lifted approximately 1200 pounds and had a lot of great laughs! 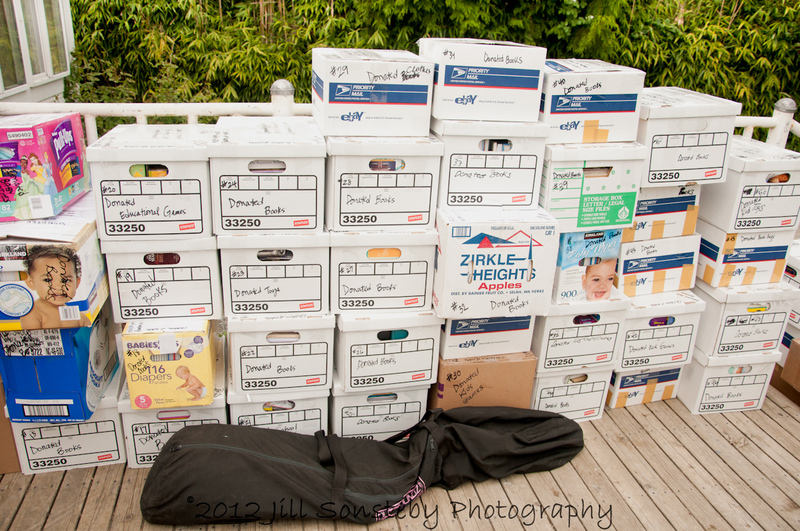 Most of the books have already started to be shipped to Utila, but we are still in need of $540 more to ship the rest. If you’d like to help please email me at childrenofutila@gmail.com and we would be so grateful! It is clear that the Lord used your time in the States in a mighty way. It is incredible all the books that were collected and the many wonderful people God put in your path to help. I am praying for the Lord’s generous provision to get these items to Utila. I’m glad to be in the trenches with you doing the Lord’s work! Thank you Jeanne! I am grateful to be doing this with you too!